Thank you for your interest in our vehicles. Photos are for illustration purposes only. Actual in stock unit may vary from photos. Pricing includes all rebates and incentives and is in lieu of any HMF special finance rates. Incentive and pricing programs are subject to change by the Manufacturer without notice. Additional restrictions, see dealer for details. Valid on in stock Units only. Price does not include dealer installed accessories or add ons. Dealer is not responsible for errors or typos. Price excludes tax, license, title, registration, documentation fees & dealer fees. Must present coupon at time of arrival. Not valid with any other offers, discounts, incentives, giveaways or previously purchased vehicles * While every reasonable effort is made to ensure the accuracy of this information, we are not responsible for any errors or omissions contained on these pages. Please verify any information in question with Cocoa Hyundai. This price may include the use of finance, loyalty, military, college graduate, mobility and affiliate (Uber driver) rebates. Not everyone will qualify for every incentive. Finance is subject to credit approval. See dealer for details. The efficiencies of eCommerce permit us to offer eCommerce consumers pricing benefits. Therefore prices on this site are available only to consumers who initiate their transactions via email or the contact mechanism of this site. *All 2010 and newer preowned vehicles with eighty four thousand miles or less are sold as a certified preowned vehicle (CPO). The certification cost is not included in the advertised price. Certification cost is based on vehicle make and model and will be presented at time of purchase. The efficiencies of eCommerce permit us to offer eCommerce consumers pricing benefits. Therefore prices on this site are available only to consumers who initiate their transactions via email or the contact mechanism of this site. At Cocoa Hyundai we want you to find the perfect vehicle, and we'll work hard to make sure you do. Simply tell us what you're looking for and when it's available you'll be the first to know! 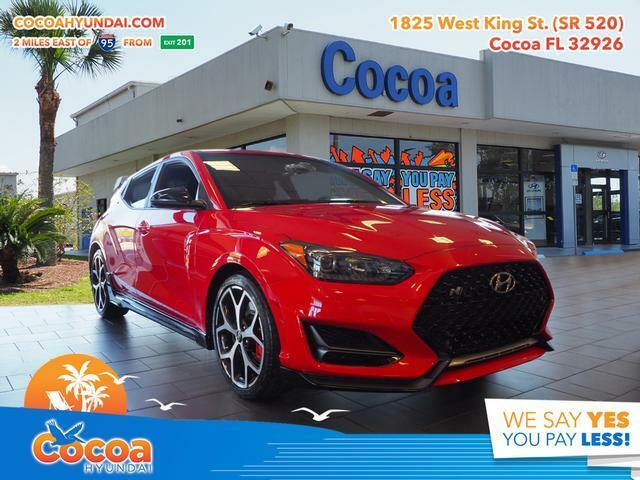 By submitting this form, you agree to be contacted by Cocoa Hyundai with information regarding the vehicle you are searching for. Thank you for your interest in our vehicles. Photos are for illustration purposes only. Actual in stock unit may vary from photos. While every reasonable effort is made to ensure the accuracy of this information, we are not responsible for any errors or omissions contained on these pages. Please verify any information in question with Cocoa Hyundai. This price may include the use of finance, loyalty, military, college graduate, mobility and affiliate (Uber driver) rebates. Not everyone will qualify for every incentive. Finance is subject to credit approval. See dealer for details. The efficiencies of eCommerce permit us to offer eCommerce consumers pricing benefits. Therefore prices on this site are available only to consumers who initiate their transactions via email or the contact mechanism of this site. *All 2016 and newer preowned vehicles with eighty four thousand miles or less can be sold as a Certified Pre Owned. The certification cost is not included in the advertised price. Certification cost is based on vehicle make and model and will be presented at time of purchase. Internet pricing can not be combined with any other offers or coupons. Internet pricing is valid in lieu of any offers, including direct mail. Hail Sale Discount is based on each individual car. The discount can vary up to 50% off MSRP. The vehicles can be repaired before purchase, or purchased as is with the discount. Prices are disclosed at the dealer once the vehicle is selected, as each vehicles cost of damage is specific to that one vehicle.